A collection of eleven automobiles offered without reserve will be among the headline offerings at the 2018 RM Sotheby’s Arizona auction, scheduled for January 18-19 at the Arizona Biltmore in Phoenix. Entitled “A Century of Sports Cars”, the automobiles from a private California collector ranges from one of the oldest known Alfa Romeos — a 1921 G1 — to a 2015 Ferrari California T.
The very first model produced when the former A.L.F.A. (Anonima Lombarda Fabbrica Automobili) joined forces with entrepreneur Nicola Romeo to become the legendary Alfa Romeo, was the G1. Intended to compete with its American and British luxury contemporaries, the G1 was Alfa Romeo’s first six-cylinder model and boasted the company’s largest engine capacity to date. However, due to high fuel costs and road taxes at the time, a mere 52, including two prototypes, were built. 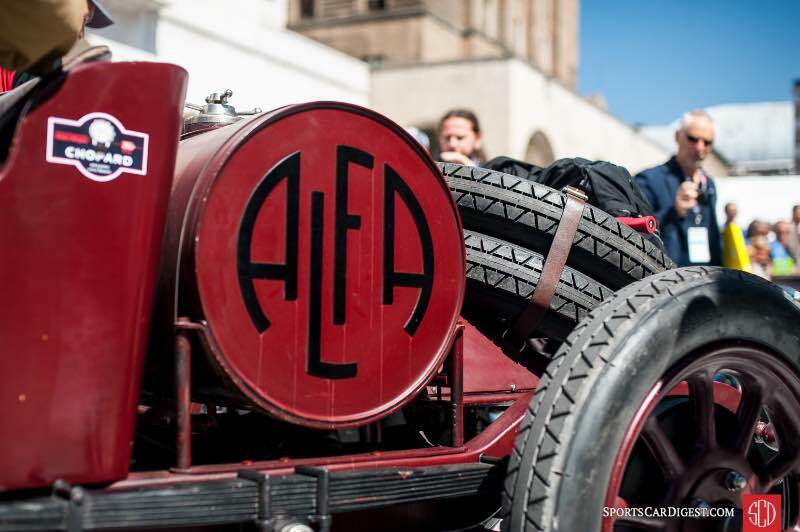 The 1921 Alfa Romeo G1 offered at the 2018 RM Sotheby’s Arizona auction, chassis 6018, is one of the earliest known examples and was delivered new to Australia, with its original owner placing the car into storage early on in its life, where it would remain for more than two decades. Discovered on a farm in the late 1940s, the G1 was hidden away once again until 1965 when acquired by Ross Flewell-Smith. Restored by Flewell-Smith in the 1970s and once again in the early 2000s by Neville Crichton, the G1 has been twice awarded at the Pebble Beach Concours d’Elegance, most recently in 2013. 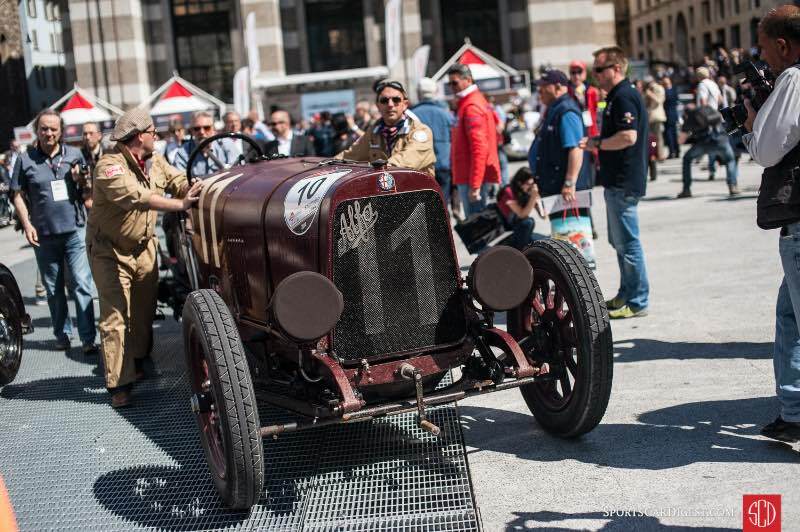 Entirely event-ready, the G1 is the oldest running and driving Alfa Romeo and has since participated successfully in numerous events, including the 2014 Mille Miglia, and the 75th Goodwood Members Meeting, as well as being displayed at Museo Enzo Ferrari in 2015. The only complete G1 in existence today, the offering of 6018 is an opportunity to acquire the earliest piece of Alfa Romeo history (Estimate available upon request). Representing a more advanced period in Alfa Romeo design is a 1955 Alfa Romeo 1900C SS Speciale with one-off coachwork by Boano, chassis AR1900C 01846. The 1900C was Boano’s 1955 Torino Motor Show car and, following decades under the care of a handful of Italian owners, would reprise its role on the stand at the 2014 Retromobile in Paris and once again in 2015 as part of the invitation-only Preservation Class at the Pebble Beach Concours d’Elegance. Originally fitted with numerous competition features, the Boano Speciale has recently been restored and returned to its original color combination, after which it was again presented at Pebble Beach in 2017, where it won its class (Est. $1,250,000 – $1,750,000). 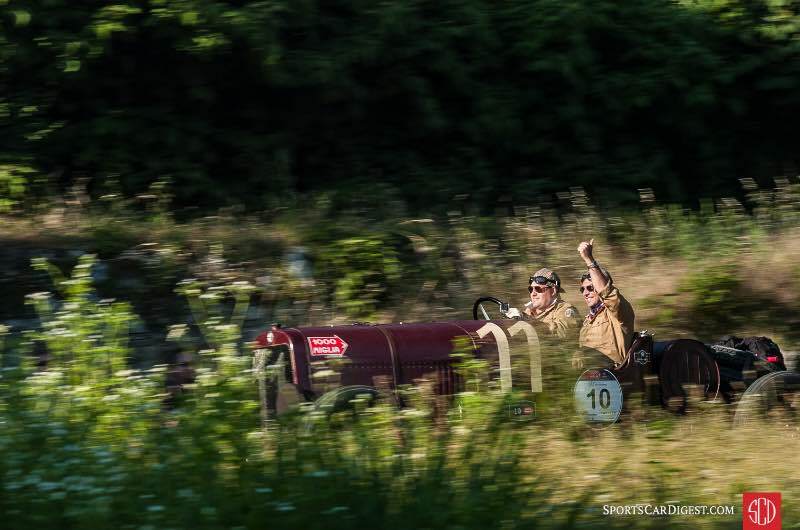 The collection finds its focus mainly in Italian sports and GT cars of the last century, which of course include those produced by former Alfa Romeo racing driver, Enzo Ferrari. Stand outs include a Blue Sera over Beige example of the final iteration of the 250 GT chassis — a 1964 Ferrari 250 GT/L Berlinetta Lusso, chassis 5537 GT. The Lusso was the recipient of a cosmetic restoration in 2013, which earned it Best in Class at the 2014 Arizona Concours d’Elegance and remains ready for its next appearance (Est. $1,800,000 – $2,200,000). Also on offer is a 1960 Ferrari 250 GT Cabriolet Series II by Pinin Farina, chassis 1939 GT. The 250 GT is the 39th of 200 second series Pinin Farina Cabriolets built and boasts a well-maintained restoration completed in 2000 (Est. $1,400,000 – $1,800,000). 2005 Ford GT complete with all four options and showing less than 2,000 miles (Est. $275,000 – $325,000). The 2018 RM Sotheby’s Arizona auction will present approximately 160 automobiles from pre-war classics through modern supercars. For further information or to view a frequently updated list of entries for RM Sotheby’s upcoming Arizona sale, visit www.rmsothebys.com.